In some places, and against prevailing trends, Christian belief and practice is not being chased out of the public square but rather is very active in stimulating new forms of civic and social engagement. Like two blades of scissors, an applied theology requiring both being grounded in biblical work as well as social policy, can create faith-based action that develop collaborative platforms that pass muster in today’s secular culture. 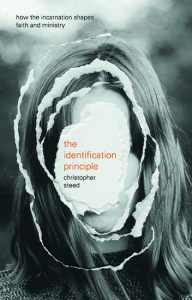 The theological grounding is incarnational; incarnational suggests identification. The Identification Principle offers a new impetus to holistic and practical engagement by the church with our world. All too often, incarnational ministry is divorced from proclamation and prayer.